We used a 25" TV instead of a computer monitor. 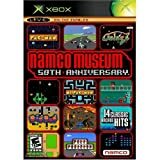 Approach: XboxTo run off-the-shelf Arcade emulation software like Namco Museum 50th Anniversary, Midway Classics 1, 2 and 3, Capcom Classics, Taito Legends and pinball emulators like Pure Pinball and Pinball Hall of Fame. Not bad for around $50! These sticks are made from real arcade machine parts. After taking them apart and looking at the guts I see no differences from the parts I purchased for my last arcade machine. 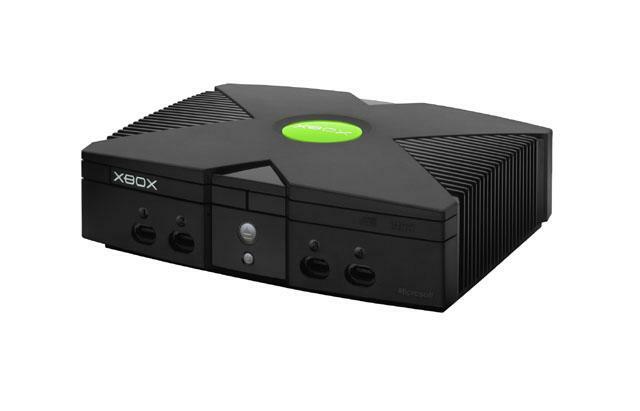 Everything is the same except for the fact that the buttons are clear plastic allowing you to add any color insert you want and the encoder circuit is designed to allow interfacing with game console joystick ports instead of PC keyboard ports. 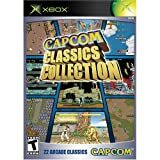 The universal variety of these come with the ability to connect to GameCube, Playstation2 and Xbox. I also extended my cabinet by adding a GameCube and a Playstation2 so this Joystick solution is perfect since it supports all three console systems and was easily wired to other components like a coin door, extra flipper buttons etc. 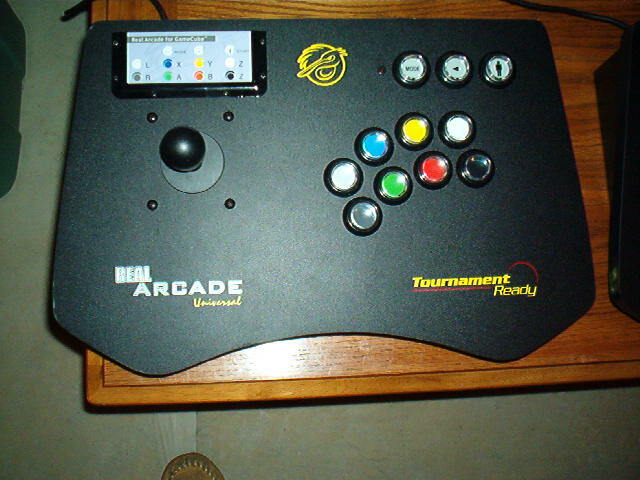 This joystick unit could be modified to work with standard PC USB ports (google XBOX controller for PC hack). 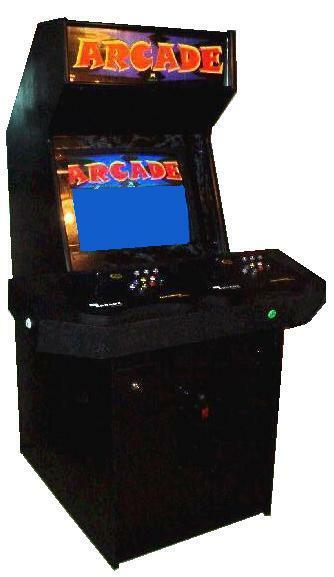 The buttons and joysticks can also easily be repaired using standard arcade cabinet repair parts. 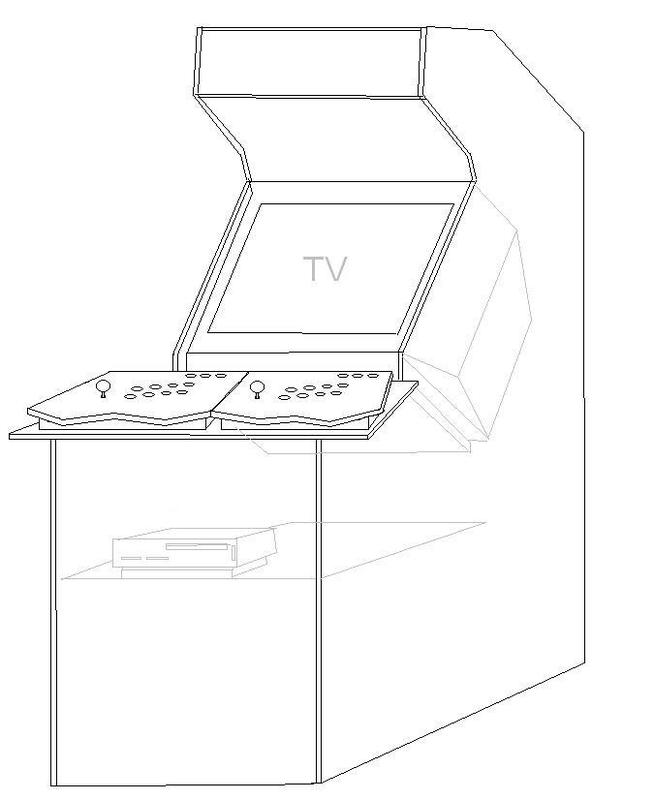 The cabinet design is completely different from my first design and looks more like a more modern arcade cabinet. 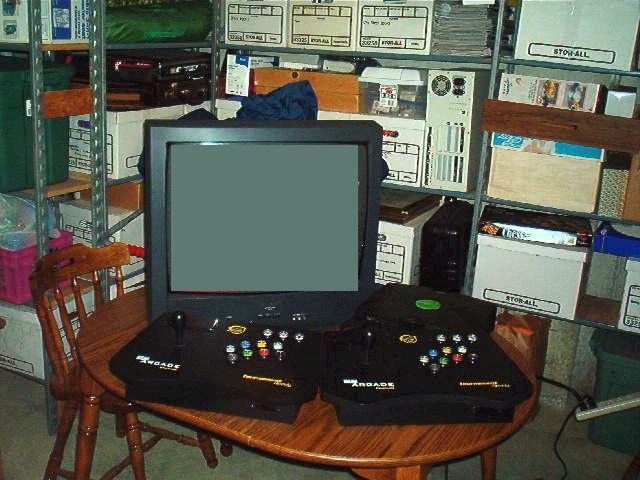 It comfortably houses a standard 25" TV and allows for a huge oversized control panel. I made the control panel removable with locking pins. This allowed me to create a seperate control panel assembly with the super controller provided with the battle mech game 'Steel Batallion'. These diagrams give you a basic idea of the general wood dimensions. The red lines indicate cuts that you can most likely have made at the hardware store. Note that these drawings assume a 28 inch cabinet front and back panel width. 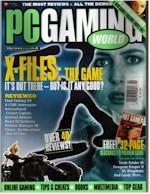 I later trimed off 2 inches to make the machine small enough to squeeze through standard doorway frames for transport. Misc. finishings power strip, cords, feet, bezel coverings, marquee holders etc. Delivered - May 14th 2004We started in mid afternoon and finished up at around 1:30am - we traveled 217 miles total and delivered 3 cabinets - 2 to basements and 1 to a first floor office. 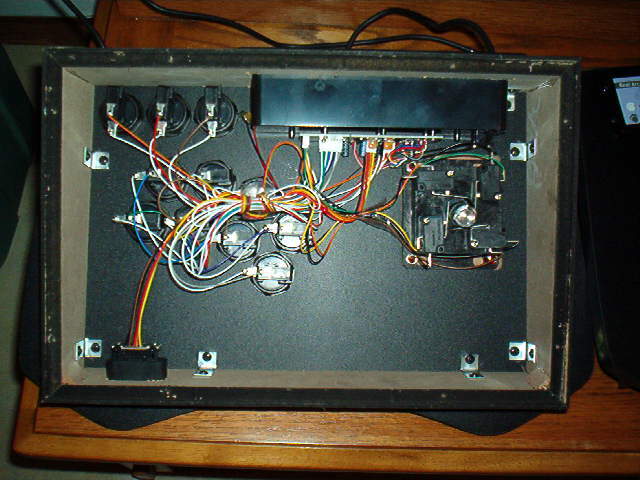 We rented a 17' U-Haul and spent $52 dollars in gas.Click here to see Day 11 Pictures of Cabinet 4 which has a Steel Batallion interchangable control panel modification.